In the midst of our spring Open Weekends! Another Open Weekend is behind us – the sun shone, the visitors smiled and the tipis looked absolutely beautiful! 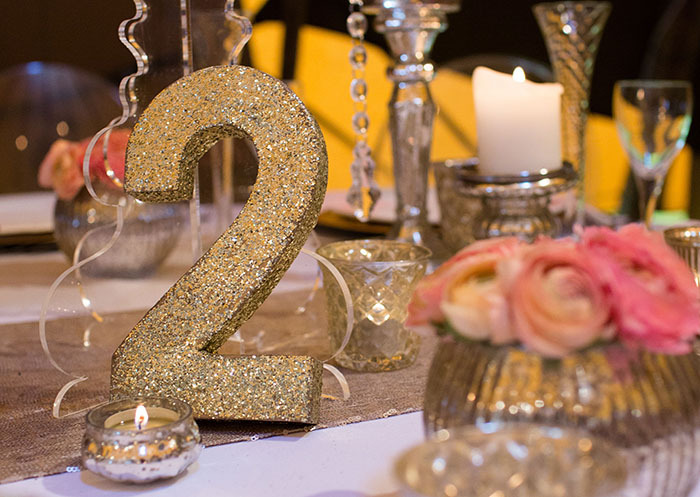 The brilliantly talented team of stylists that joined us brought their own interpretations of the ‘rustic-luxe’ theme, and their ideas complemented each others beautifully. 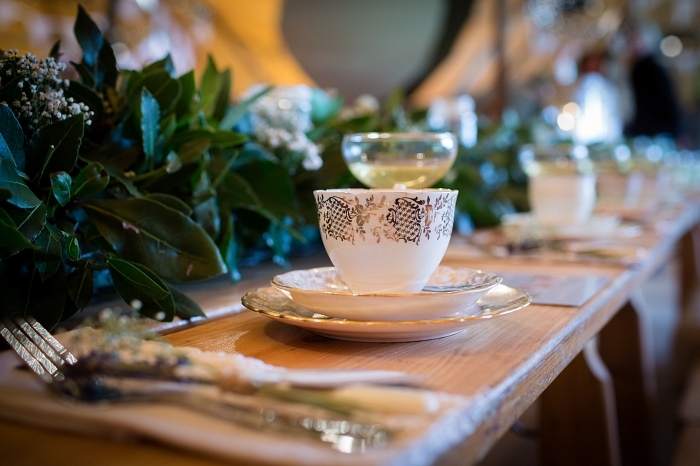 With our old friend Jan from Devon Vintage China, and new acquaintances Natalie from Meadowsweet Vintage and Elle from Inspire Hire (complete with Kate Cullen linen, Oyster & Pearl stationery and a chandelier! ), we were surrounded by creativity. 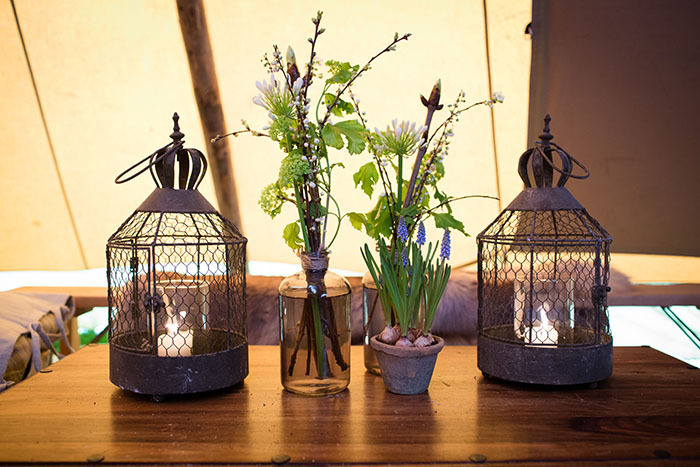 Dressing and styling of the tipis wouldn’t have been complete without the glorious blooms supplied by dear Jess from West Dorset Wedding Flowers by the Poundbury Florist. 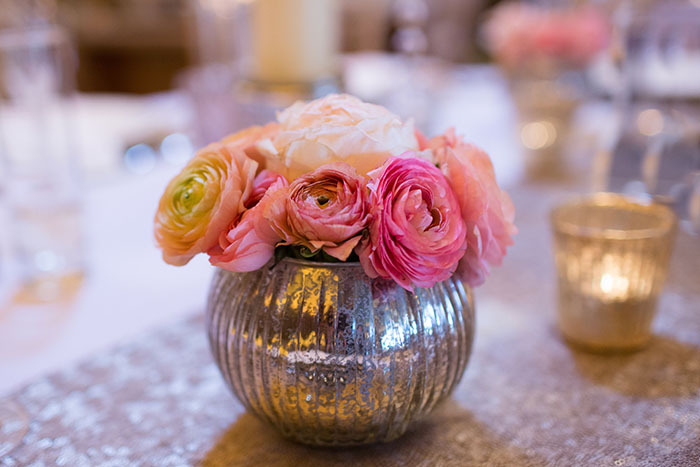 From gypsophila to orchids and everything in between, her beautiful floristry complimented the stylist’s work superbly. 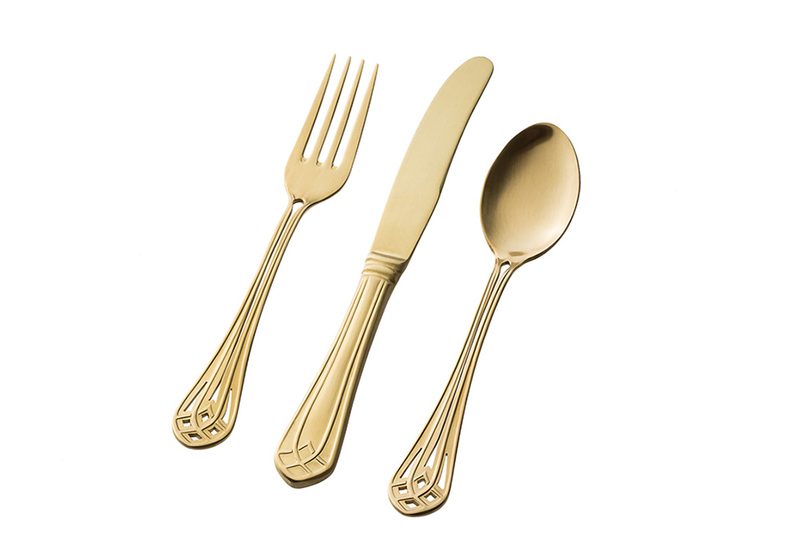 The infinitely generous and accommodating South West Event Hire supplied tableware and chairs, and did a fair bit of to-ing and fro-ing for us on set up day – thank you once again Gordon! 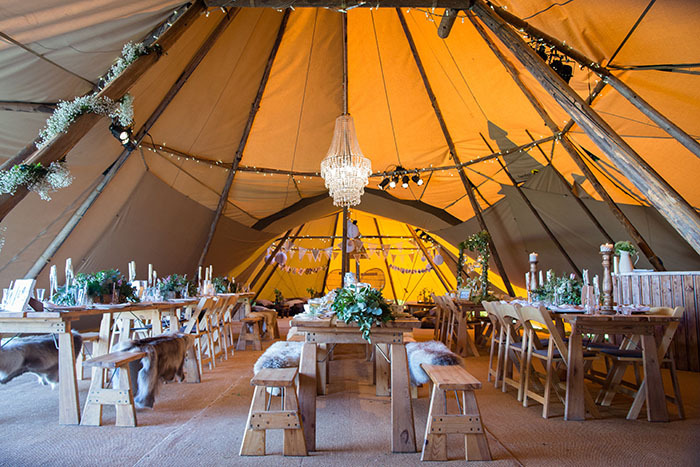 Visitors needing advice and ideas on catering were in for a treat with Dartmoor Kitchen in the tipis – fresh from their Wedding Industry Award win. We were also treated to a selection of mouth watering Tom’s Pies and an enormous carrot cake to keep the team’s energy levels up over the weekend. 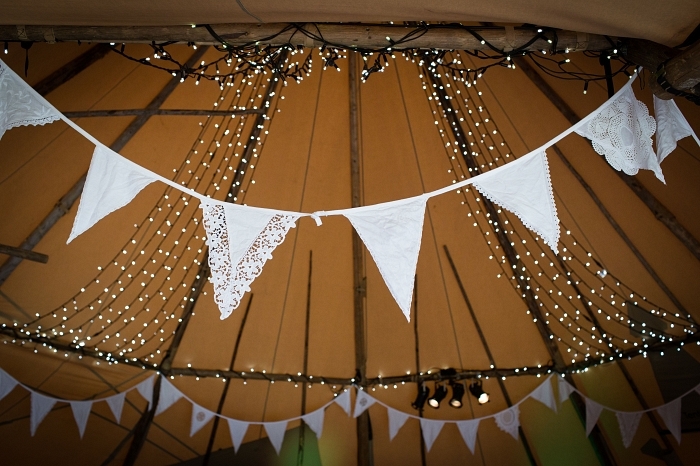 All of the tipi loveliness was once again expertly captured by Sarah Lauren Photography (see above), the tipi wedding expert photographer and all round legend! Thank you so much Sarah. Things would have been somewhat uncomfortable without Premier Luxury Loos, and the plushest facilities available on four wheels – they certainly contributed to the ‘luxe’ element of the weekend, completely dismissing even a hint of rustic! Finally, on to our goody bags, and this year they were the best yet, packed with offers and samples. With treats from Wed Magazine, The Little Wedding Helper, Oakwood Soaperie, Cloud Nine Marshmallows, Wildflower Favours, Paper Tree and Bespoke Confetti – all our brides to be left with a smile. 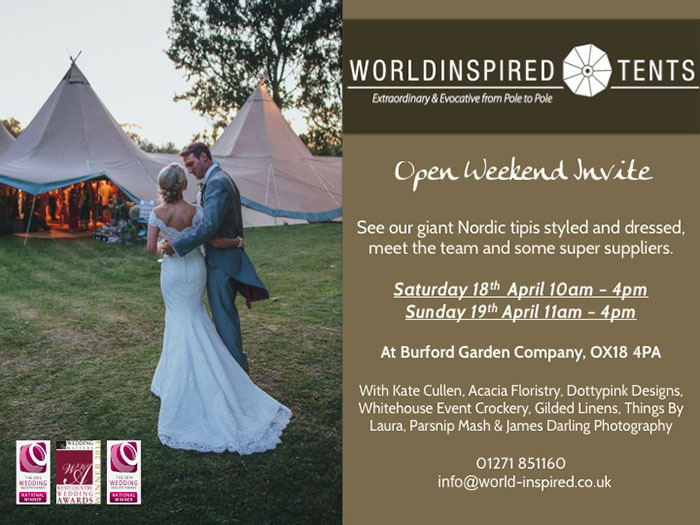 And the fun isn’t over yet – for anyone who couldn’t make it to Darts Farm, this year we have a second spring Open Weekend at Burford Garden Company in the Cotswolds on 18th and 19th April. 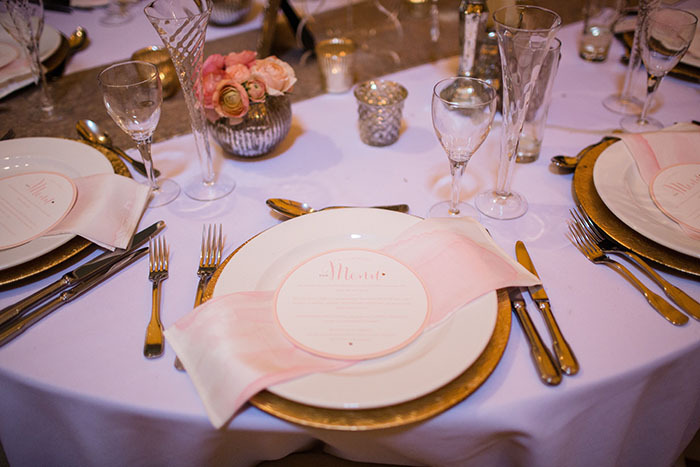 With a new dream team of suppliers, we will be joined by Kate Cullen (styling), Acacia Floristry, Gilded Linens, Things By Laura, Parsnip Mash, Whitehouse Event Crockery and James Darling Photography.